Make piano moving easy – contact the experts at South Florida Van Lines. 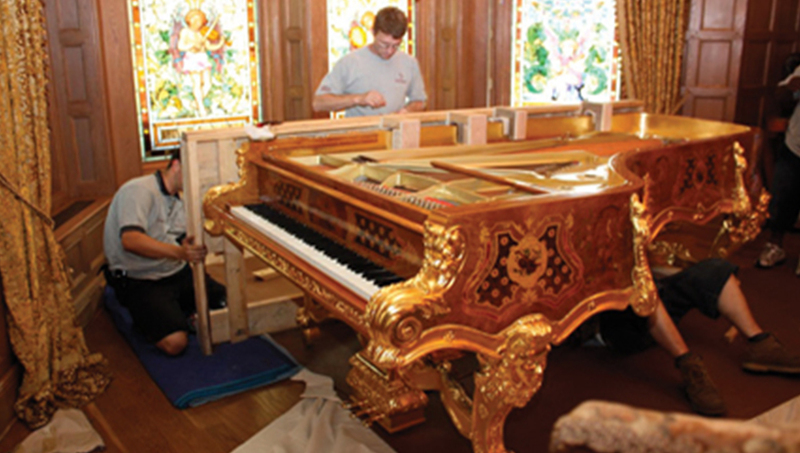 Our South Florida piano movers are more experienced than the competition and have the affiliations needed to make piano moving in Florida easy – in addition to the top amenities that we have access to as World Wide Moving agents, we’re Steinway certified piano movers and equipped to move your expensive instrument from Miami and the surrounding areas to anywhere in the U.S. or the world. Our personnel are specially-trained in high-value equipment transport techniques and specialized moving services. Our Florida piano movers own a large fleet of air-ride equipped vans with lift gates to ensure the secure transport and absolutely defect-free delivery of your instrument. Working with the Steinway certified piano movers of South Florida Van Lines guarantees a perfect transport process – on time, every time. 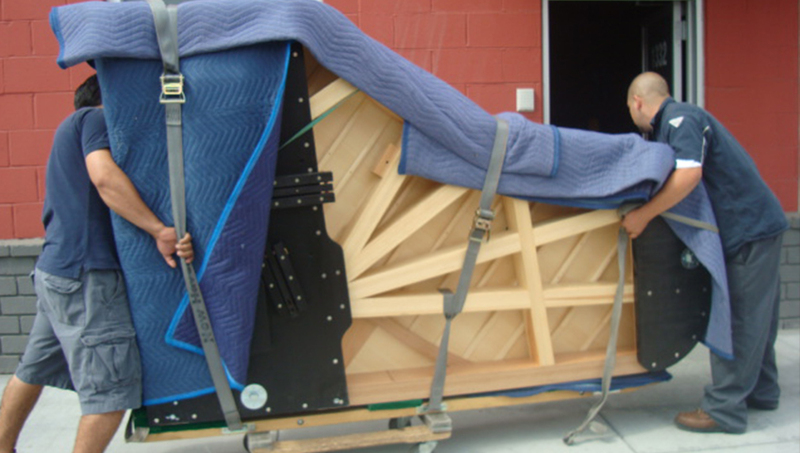 Additionally, our services are exceptionally well-priced, making us the preferred piano shipping company for professional musicians whose work requires frequent instrument relocation. Ready to learn more about what makes South Florida Van Lines a Top Rated Local Florida piano mover? Get in touch with our Steinway certified team today. Fill out our quick quote form to receive your FREE, no-obligation moving estimate or call our company today with your Florida piano moving requirements. Our trained and talented team looks forward to working with you and providing you with the safe, secure and cost-effective services that your instrument requires. Beyond our piano moving services, we also offer commercial and residential local or long distance moving services. Both our residential local and long distance moving services are available in conjunction or independently from our piano moving service.